Photographs, letters and legal documents from one of the most bizarre and famous trials of the Victorian era are to go on show for the first time. After Roger Tichborne, the son of a wealthy Hampshire family, vanished when travelling in 1854, a man claiming to be him turned up at the family home. A lengthy and expensive trial saw him exposed as an impostor. The documents will be displayed in Hampshire's museums after they were bought thanks to a lottery grant. When she got word that her son's boat had sunk in bad weather, Lady Tichborne refused to believe he was dead. She placed adverts around the world appealing for him to get in touch and come home. She accepted an Australian butcher's claims that he was her son, even though he had somehow become shorter and fatter and entirely lost his prominent French accent. Several other members of the family refused to accept him, however, and after Lady Tichborne's death a trial began which kept Victorian high society enthralled. 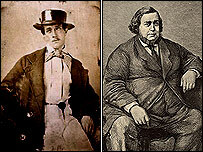 Over 100 days and £200,000 later, Arthur Orton from Wapping was sentenced to 14 years for perjury. 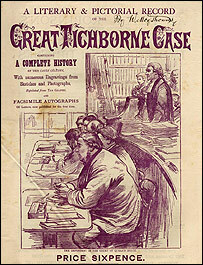 The story was made into a film, The Tichborne Claimant, in 1998. Hampshire County Council has now bought the record of the trial from the Tichborne family solicitor with the aid of a £43,000 grant from the Heritage Lottery Grant. An exhibition will be created and will begin touring Hampshire's museums in 2006. Hampshire's head of recreation and heritage, Cllr John Waddington, said: "This is one of the most significant acquisitions made by the Museums and Archives Service in recent years. "The Heritage Lottery Funding will play an important role in ensuring that we are able to make this fascinating story from Hampshire's history available to all."